Amazon Web Services' second annual AWS re: Invent conference has started with an opening keynote speech from senior vice-president Andy Jassy making several product announcements. Amazon Web Services (AWS) will be using this week to highlight its dominance in the cloud computing market, touting itself as an accessible alternative for the startup community that may be struggling to afford traditional on-premise datacentres. 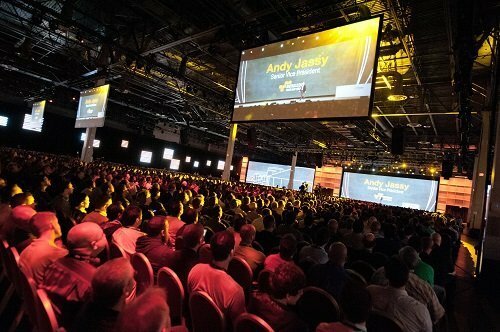 Andy Jassy addressed the 8,000 attendees of AWS re: Invent, unveiling AWS’s CloudTrail designed to log application programming interface (API) calls for governance and compliance. CloudTrail logs and reviews AWS API call user activity made by or on behalf of an AWS account and delivers the log files to an Amazon S3 bucket for storage. Also unveiled was Amazon Workspaces, aimed at businesses that have considered virtual data infrastructure (VDI) but found the deployment difficult and expensive. Workspaces enable customers to provision cloud-based desktops, so users can access documents, applications and resources on a device of their choice, but without having to leave the information sitting locally, which has been a past concern for IT. Amazon AppStream was the last service released during the opening keynote, drawing applause from the audience of developers and system integrators. AppStream allows developers to stream applications, such as 3D games or interactive HD applications, from the cloud. Jassy explained: “In the past, the developer has had to make the inconvenient choice of building for a user that has high-end hardware or having to water down their product to be on all devices. Amazon AppStream streams it to the user and captures user input to send back to the cloud.